The Palestinian Center for Human Rights (PCHR) renews its demand for the abolishment of the death penalty in the Palestinian territories as Gaza courts issued a second death sentence in 2015. The total number of death sentences issued by the Palestinian Authority since 1994 has risen to 157, of which 130 have been issued in the Gaza Strip and 27 in the West Bank. Among those issued in the Gaza Strip, 72 have been issued since Hamas took over the Gaza Strip in 2007. The Palestinian Authority also executed 32 death sentences, of which 30 have been executed in the Gaza Strip and 2 in the West Bank. Among those executed in the Gaza Strip, 19 have been executed since 2007 without ratification by the Palestinian President in violation of the law. It seems totally reasonable (if one can considerable any international action against Israel as reasonable) that the Schabas committee is not a commission of inquiry but rather a committee of foregone conclusions pretending to conduct an investigation before publishing its conclusions. Thus Israel has stated that it will not cooperate with the committee established by the UN Human Rights Council to investigate the conflict between Hamas and Israel (summer 2014). This decision was made taking into account the council's obsessive hostility towards Israel, the committee's one-sided mandate and the publicly expressed anti-Israel positions of the committee's chair. While Hamas launched thousands of rockets at Israel, the Human Rights Council decided in advance that Israel was guilty and established a committee to act as a rubber stamp for its predetermined positions. This is evident in the fact that the committee was instructed to investigate only the events occurring after the kidnapping and murder of three Israeli teenagers by Hamas terrorists. Further evidence of bias can be seen in the appointment of Prof. William Schabas - who is known for his anti-Israel views - to head the committee. 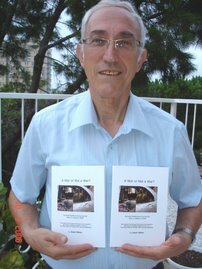 a) 7 January 2013: "My favorite would be Netanyahu within the dock of the International Criminal Court" (in connection with Operation Cast Lead in 2009, when Netanyahu was head of the opposition). b) On 26 December 2010 he wrote: Netanyahu is "the single individual most likely to threaten the survival of Israel." c) Again in connection with Operation Cast Lead, Schabas said, "Why are we prosecuting the president of Sudan for Darfur at the International Criminal Court, and not President Peres for Gaza?" d) Schabas has also defended past president of Iran, Ahmadinejad, and claimed that his repeated calls "to wipe Israel off the map" were not calls to genocide, but merely "political opinions". e) In media interviews, Schabas refuses to call Hamas a terror organization, although it is defined as such in the United States, the European Union, Britain, Canada, and numerous other countries. f) The Council's obsessive treatment of Israel since its establishment, revealed in its disproportionate focus on Israel and its unjust accusations against it. The unreasonable mandate of the committee and appointment of its chairman prove once again that the Human Rights Council has betrayed its original purpose - instead of investigating war crimes perpetrated by terror organizations such as Hamas, the Council has again chosen to focus blame on Israel while granting legitimacy to terrorism. Israel has stated that it is committed to international law and in all of its actions during Operation Protective Edge adhered to the standards and rules incumbent upon states fighting terrorism and thus has been confirmed by several independent military sources. In contrast, Hamas deliberately committed heinous war crimes. Israel has already set in motion investigations into the events of Operation Protective Edge in accordance with the highest international standards. Just 25 years after the international organization “Operation Smile” began operating in Vietnam, it has eradicated cleft palate and cleft lip among adults there. Two Rambam doctors, long-time participants in the project, recently returned from a marathon of operations that bring fresh hope to hundreds of children in Vietnam. Working with them were doctors from 18 countries, including Morocco and Jordan. The delegation is a long-time tradition with the two doctors. This time, they took part with some 300 other doctors at six sites throughout Vietnam. For ten days, the delegation performed over 500 operations on children with cleft palate and lip. “Operation Smile” has run for more than 30 years, 25 of which have included Vietnam. The organization works mainly in developing countries, where it targets impoverished populations, in which facial birth defects are widespread. In contrast to past delegations, the recent group operated only on children. To help as many patients as possible, delegation members operated 12 hours a day on a stream of young patients. During the delegation’s stay in Vietnam they had an unexpected visit: Mee Huang, Miss Vietnam of 2011, came by to offer support. The initiative touched the beauty’s heart, and she decided to join the delegation, assisting with translations and encouraging the children and participants. Muslim sensitivities everywhere are now more important than truth or justice anywhere. Alas, France and many other naïve Europeans have surrendered pride and identity to Brussels and in turn volunteered to be colonized by a 5 column of Arab/Muslim religious imperialists. It’s hard to calculate the price of cheap labor when the real currency is common sense, identity, or culture. The Arab no-go slums that surround Paris are testimony to French venality, the blowback from communal Europe, and all those associated social or economic fantasies. With assimilation off the table, open borders become the open wounds of cultural decay. Urban necrosis in Paris and London, and many other European capitals, is a self-inflicted wound. In the wake of the Charlie Hebdo slaughter, a British Sunni Imam in London crowed on the Fox News Channel that the key to Muslim rage was sharia, that arbitrary amalgam of contrived history, false prophets, and social toxins. Imam Anjem Choudary’s suggestion to “submit” was nonetheless superfluous. European and American journalists have been on their knees since oil was fifty cents a gallon. Starting with Daniel Pearl, and continuing with the recent spate of beheadings by ISIS, we see video after video of journalists on their knees literally pleading for their sorry apologetic lives, denouncing their homelands, and then being butchered anyway. Journalists are a special obsession for Islam because professional writers are now the iconic representatives of cowering democracies. No group has done more to rationalize and sanitize the barbarity that is Islamic imperialism You would think that Islamists would embrace their Media co-conspirators in Europe and America -- “Arab Spring” propagandists and Palestine pimps for example. Au contraire! For the devout, the apostate must be put to the sword before the infidel. Apologists and traitors are reviled by both sides. Fear is the dominant ethic of modern journalism; fear to mock Mohammed or the Koran, fear to document the clear links between atrocity and religious dogma, fear to publish the graphic evidence of beheadings, fear to expose slavery, abuse of children, and rampant misogyny, fear to offend Arab dictators, fear to offend ayatollahs and imams, and now the fear to publish the very satire that precipitated the death of real heroes. American and European editors also fear that things might get worse, a dread that now has all the earmarks of inevitability. An amateur video about prophetic pedophilia was used to justify the slaughter in Benghazi and now provocative cartoons are used to justify the carnage in Paris. “Piss Christ” is rationalized as high art in New York City but any mockery of Mohammed’s yen for little girls is regarded as justifiable capital blasphemy. Yes, the Charlie Hebdo journalists were rare exceptions in a trade where timidity is the norm and candor is a vice. Any offense, real or imagined, is the real peril for modern journalists, the tar baby of political correctness. Truth is now any pabulum that pacifies gutless editors and their clueless readers. The feigned indignation, mock shock, and hypocrisy of private and public media outlets over the latest outrage is mind-boggling. There’s nothing new or startling about the bloodbath in Paris or the carnage that is sure to follow. Pander precedents are now legendary: the bloody trail from Satanic Verses to Charlie Hebdo is now a well-travelled venue of liberal, artistic, and literary shame. The Associated Press, Washington Post, or New York Times are no more likely to publish the evidence for which their French colleagues died then they are to refuse to wear head scarfs in Dhār. The BBC, American PBS, and the Fox News Channel are not likely to show on air any satiric cartoons about Islam either. The Charlie Hebdo raid, like the 9/11 attack, is thus another win for the prophet’s vanguard, another nail in the coffin of civility. The West is now impaled on the horns of the dot.com dilemma: on the one hand governments and internet industries who exercise no restraint in collecting information; and on the other hand analysis, public and private, which ignores or twists facts for fear of offending the guilty. Small wonder then, that the humiliation of democracies like France, England, and America is now a blood sport for the Ummah. The official response in America is prophylactic self-censorship. The Associated Press (AP) and the Obama White House have revised the official and public rhetoric of politics to eliminate words like Islamism -- as if there were no links between deviance and devotion. François Hollande, a metrosexual in the Chirac mold, called for a moment of silence the day after the latest Muslim blitzkrieg. That moment of prayer in Paris was no tribute to slain journalists or freedom of the press. Where timidity is a value and courage a vacuum, “silence” is the perfect word to capture European and American cowardice. Silence is the preferred response to jihad, Islamism, and Islamo-fascism. Alas, silence is acceptance and silence is submission. And ultimately, silence is the sickly sweet sound of surrender. Europe is not “Charlie.” America is afraid too. Both are weak. Islamic terrorists are victorious again. 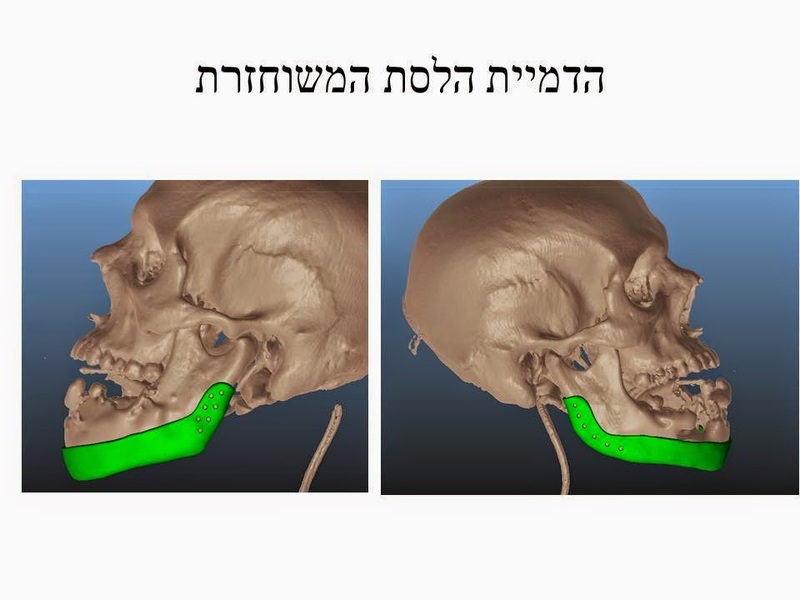 At Rambam, a jaw printed on titanium using 3D CT was implanted in the face of a Syrian citizen who came to Israel for medical treatment after being wounded in his country’s civil war. The man reached Rambam in critical condition, after a rifle bullet had completely destroyed his lower jaw, rendering him unable to speak or eat. Prof Adi Rachmiel, director of Rambam’s Department of Oral and Maxillofacial Surgery, performed the ground-breaking operation with Dr. Yoav Leiser, who recently returned from training in Germany, where he specialized in restoring eye sockets, jaws and cheek bones. One day after surgery, the patient was eating and speaking. “We succeeded in returning his human quality,” said Dr. Yoav Leiser, of the patient, whose face had been torn, jaw smashed, and bottom teeth blown out. In the procedure, Patient Specific Implant (PSI), doctors created a jaw perfectly suited to the patient. While such procedures previously demanded the connection of many plates, PSI requires only one individualized plate, serving as a custom-made ‘replacement part’. Further, all planning is done pre-surgery, saving time and yielding superior results. To compensate for the fact that the patient had no medical records, doctors relied on statistical models. Following this success, three additional patients are scheduled to undergo similar innovative treatments. The peace negotiation process as set out in the Oslo Accords was intended to lead to peace between Israel and the Palestinian People and mutual recognition of each other’s "mutual legitimate and political rights" (Preamble, Oslo I and Oslo II). Yasser Arafat, in his September 9, 1993, letter to Yitzhak Rabin, declared that "all outstanding issues relating to permanent status will be resolved through negotiations." Some “Jerusalem based US consulate personnel” were reportedly attacked by Israeli “settlers” throwing stones, during a visit by the Americans to the site of an alleged “settler attack” on the olive trees of a Palestinian Arab grower in the West Bank. Last week’s altercation at the community of Adei Ad is raising questions as to what actually happened. According to Settler sources, the Arabs from Turmus Aya brought US Consulate officials close to the entrance to Adei Ad and within the community’s security zone, which begins 50 meters from the community. The settlers say the Arabs from Turmus Aya are fully aware that they are only allowed into the 50 meter security zone with IDF approval and coordination. It is definitely known that US Consulate officials did not coordinate their visit with the IDF or Israeli authorities. The settlers say the Arabs brought the US officials to that point as part of a provocation. Adei Ad residents who initially saw the vehicles approaching assumed they were Arab vehicles that were seconds away from entering the outpost. The residents came out and a verbal altercation began with the Arabs who were accompanying the US Consulate officials. The Israelis claims that during the verbal altercation, two US Consulate security personnel got out of the car and pulled out weapons, specifically a pistol and an M-16 rifle. If they pulled out guns as the residents of Adei Ad claim, the US personnel perhaps quickly realized their major diplomatic blunder. At that point, everyone agrees, the US personnel got back into their cars, didn’t wait for the army to show up, and sped off. As usual there is much more to this story than meets the eye. 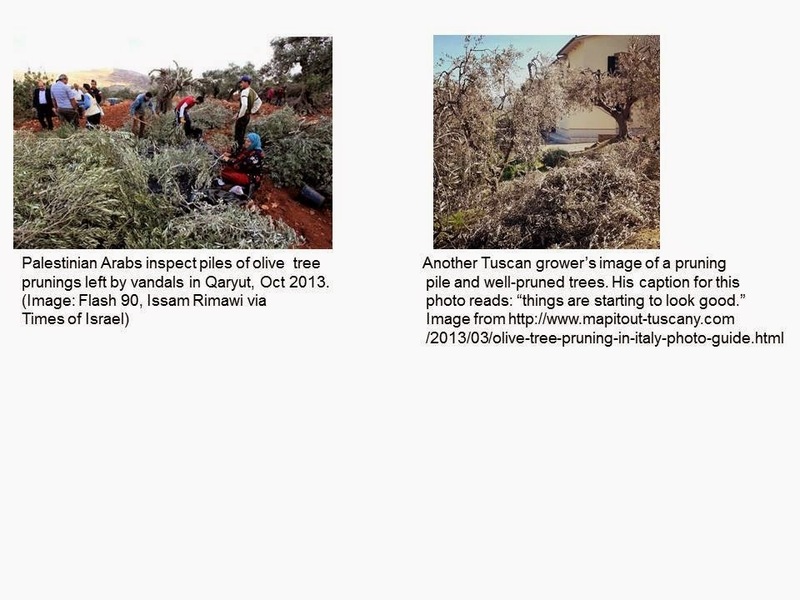 A posting at http://libertyunyielding.com/2015/01/04/passion-olive-trees-settlers-pelt-u-s-diplomatic-personnel-west-bank-video/#X0tXSCVmeGAWi65J.99 gives a lot more perspective to the story than any journalist is prepared to invest his time understanding. Lots of pictures and a video.